-Never use electric lights on a metallic tree. The tree can become charged with electricity from faulty lights, and a person touching a branch could be electrocuted. The CPSC news release has a list of all kinds of other issues to check for when decorating for the holidays. Seems that aluminum is a conductor of electricity, so if you put electric lights on it, you have the necessary ingredients to create shock and/or fire. So take notice – and take care! The smart — and easy — thing to do with vintage aluminum trees: Hang ornaments…and use a color wheel. In fact, it seems that color wheels were devised to get right around the electric-hazard issue of stringing lights onto aluminum. This is an opportune time for me to remind readers that on this blog, I do not generally allow readers to offer safety or environmental advice. I advise folks to empower themselves consulting with pros/experts regarding their own particular situation. This precaution regarding aluminum Christmas trees and electric lights, though, is validated on a government website, so I thought it would be of value to readers, many of whom may have aluminum trees, which only seem to grow and grow as a desired collectible. 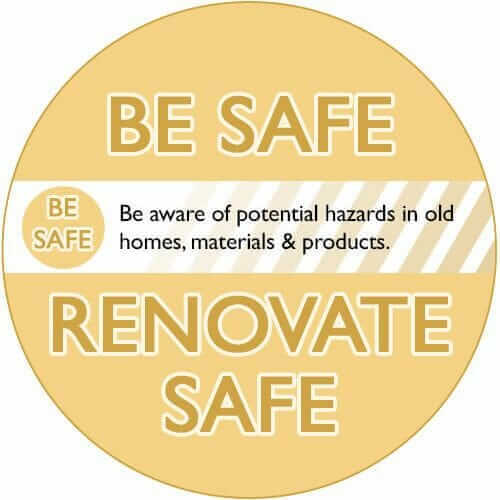 See our Be Safe/Renovate Safe page for more info. Relatedly, the U.S. Fire Administration has a page on holiday fires and other pages on other home-safety issues when it comes to fire prevention. We have a “regular” artificial tree with white lights and almost every ornament I’ve collected in my 46 years on this earth. We also have a “copper penny” tree that I bought a few years ago at Hobby Lobby – it has the effect of the old silver aluminum trees, but it’s copper colored. I’ve hung only glass ornaments featuring gold, bronze and red, with glitter … it’s near a window and the sunlight during the day just makes it sparkle … thanks for the safety tip for those who may not realize certain combinations can be dangerous! Everyone have a very MERRY CHRISTMAS!!!!! I was born in ’78. So while I’ve SEEN a color wheel I never put the 2 together. (In fact I thought you meant artists color wheel which is something else) Guess that explains why white trees are one of my earlier memories, with the changing lights they could be ANY color! What about using battery powered lights? I am not an expert. Consult with a properly licensed professional to get professional advice. 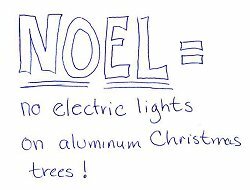 Thank you for posting this vital information about the aluminum Christmas trees and electric lights. It’s a reminder and a warning–danger of fire and electrocution. Thumbs up! Would battery operated LED lights be ok on an aluminum tree?